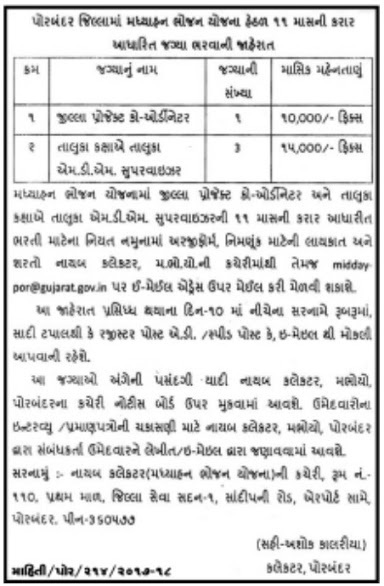 Home Latest Mid Day Meal Project Porbandar Recruitment 2018. Mid Day Meal Project Porbandar Recruitment 2018. Next articleContact Base Fix Pay Karmchario Related Latest Paripatra Declared.